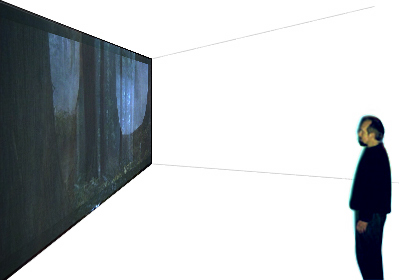 Viewers control and unfold the spectacle in front of them as they move in space. Thus viewers become performers as they advance the scene, transforming it from one absolute blindness to another. 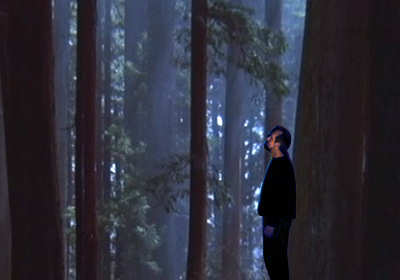 As viewers walk towards the projected image surface, the scene advances forward. As they walk away the sequence advances bakwards to its start point. 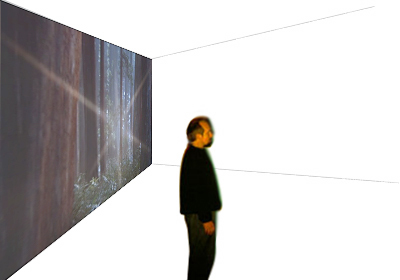 Once viewers stand still, the sequence loops in a repetitive way according to its position on the timeline.